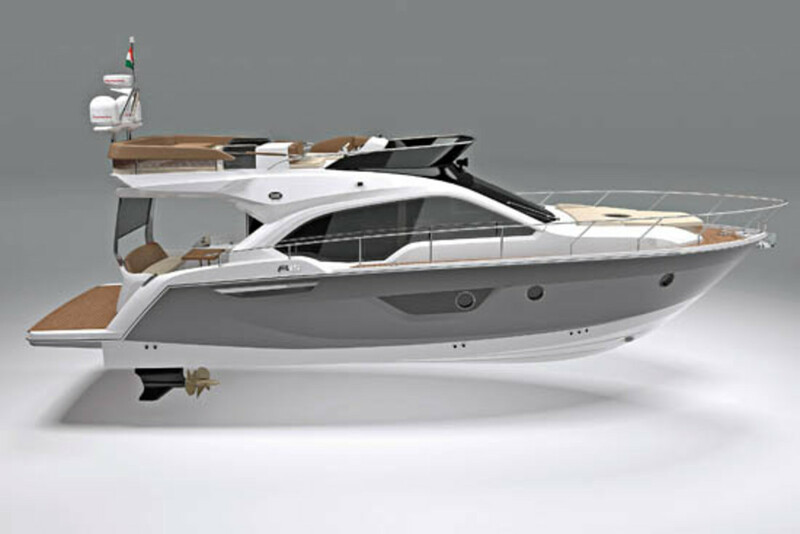 Sessa Marine’s Cristian Grande-designed Fly 45, which will splash September at the Cannes Boat Show, promises to optimize space onboard as few yachts of her size currently do. 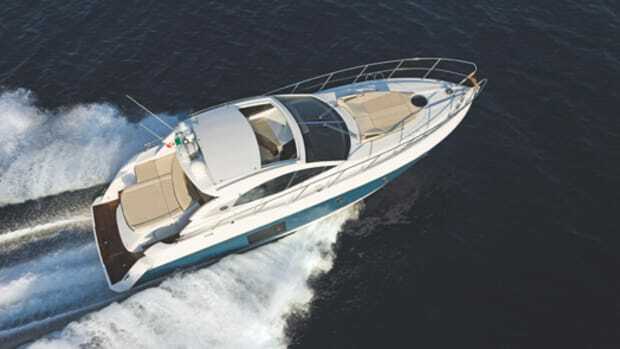 The boat’s namesake flying bridge should be able to accommodate as many as ten people (not including the helmsman) who will most likely congregate around the aft dining table and corner settee. 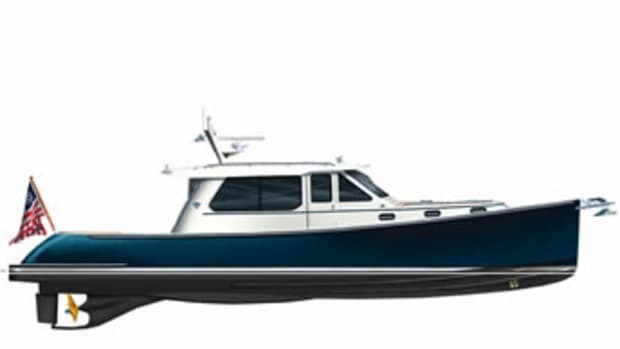 Another settee forward and to port offers even more seating. 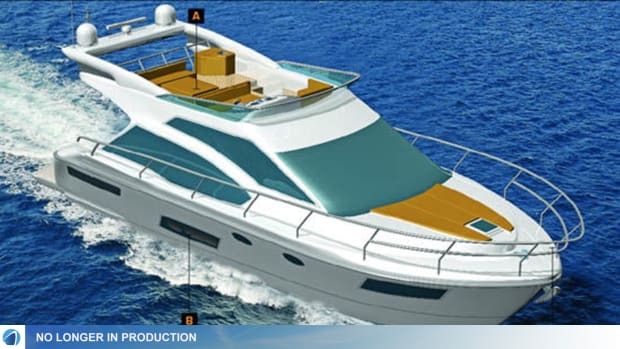 Furthermore, a large sunpad on the foredeck and a flying-bridge-shaded cockpit mean that the 45 will have plenty of room to host parties of significantly more than the ten guests mingling above on the upper deck. Such a spatial configuration should play a large part in attracting a new breed of clientele, one Sessa says is “trend[ing] towards increasingly hybrid products—as in automobiles, fashion, and architecture—in which beauty and comfort meet [and who is] not exclusively Mediterranean but oriented toward new horizons, from the Caribbean to the Middle East.” Wherever an owner decides to cruise, the 45 will be able to do it in relative peace and quiet. 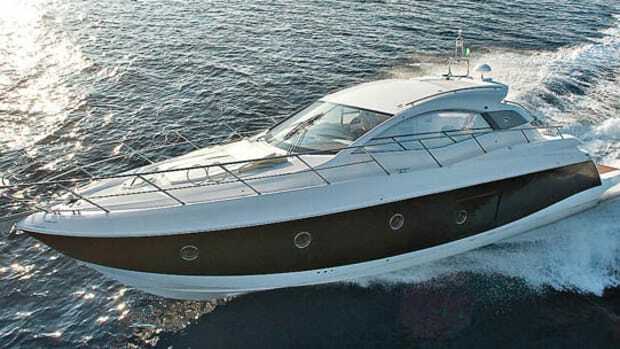 The relaxing atmosphere will be due largely to a partnership between Sessa Marine’s technical office and the Department of Mechanical Engineering at Brescia University, which focused on making the boat as quiet and vibration-free as possible. 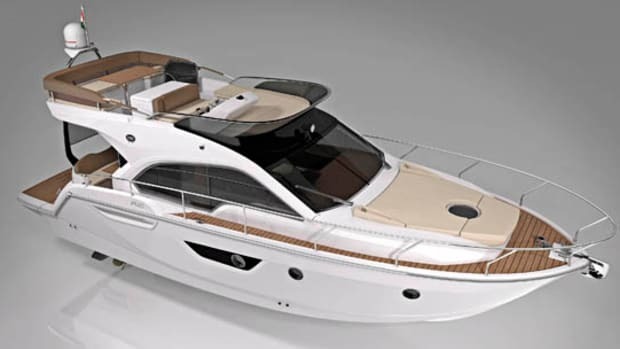 A key design characteristic of the 45 is that the galley is on the main deck, which makes room for three (count ’em) cabins down below—a feat Sessa claims will be a first for a boat of this class and size. 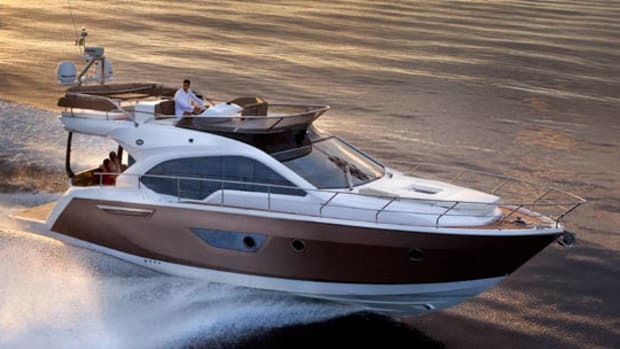 The company also maintains that despite this boat’s generous entertainment space, she will still be able to perform on the water with the agility of an open yacht. 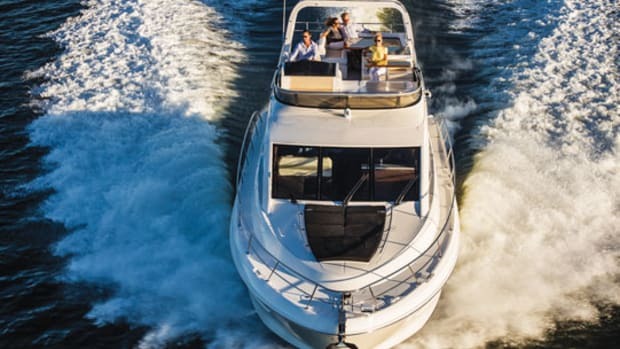 This expected nimbleness is thanks in large part to the Volvo Penta IPS pod drives—a power choice that provides the dual benefits of both enhancing the boat’s athleticism as well as allowing space for all those cabins on the accommodations deck. 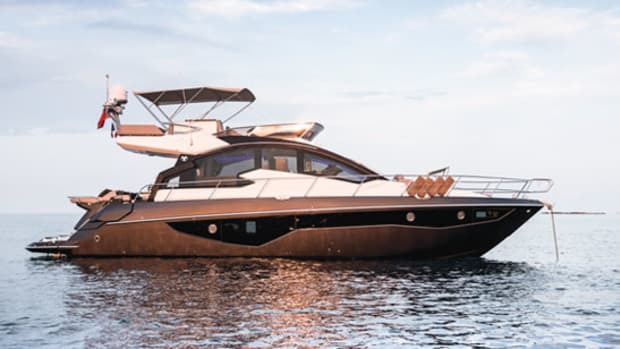 With this 45, it seems Sessa Marine is on a mission to prove that big things really can come in (relatively) small packages.